Join us for another Urbanite Radio Story. Today we're joined by three young chefs who are redefining the food we eat in Baltimore. Jesse Sandlin is Sous Chef at Pazo and a former "Top Chef" contestant. Damion Mosley is the Chef-Owner of Blacksauce Kitchen. Join us for another Urbanite Radio Story. Today we’re joined by three young chefs who are redefining the food we eat in Baltimore. 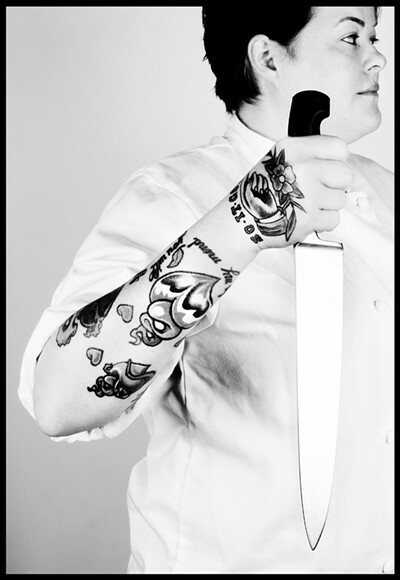 Jesse Sandlin is Sous Chef at Pazo and a former “Top Chef” contestant. Joe Edwardsen is the Chef-Owner of Joe Squared.